You have a filthy mind. How could you think for one second that this is not totally innocent. You pig. This is why we need thought surveillance – to catch pervs like you. I’m calling the cops! 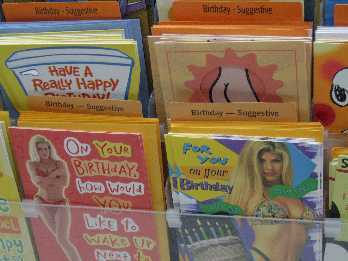 Where do they display the “Birthday – Suggestive” cards? 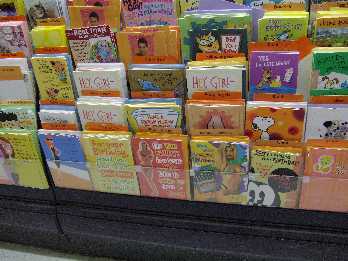 On the bottom row at kid’s eye level, next to the cute Snoopy and Tweety Bird cards.